Featuring black with white patches, black curved handle and matching black top and spoke tips. 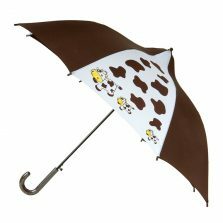 This fun cow print design umbrella will appeal to the young at heart of any age! Scroll down for more info. For lovers of all things cow and cow print, this funky cow print umbrella white black is part of our range of teen umbrellas, sized part way between a child’s umbrella and a full size ladies umbrella. 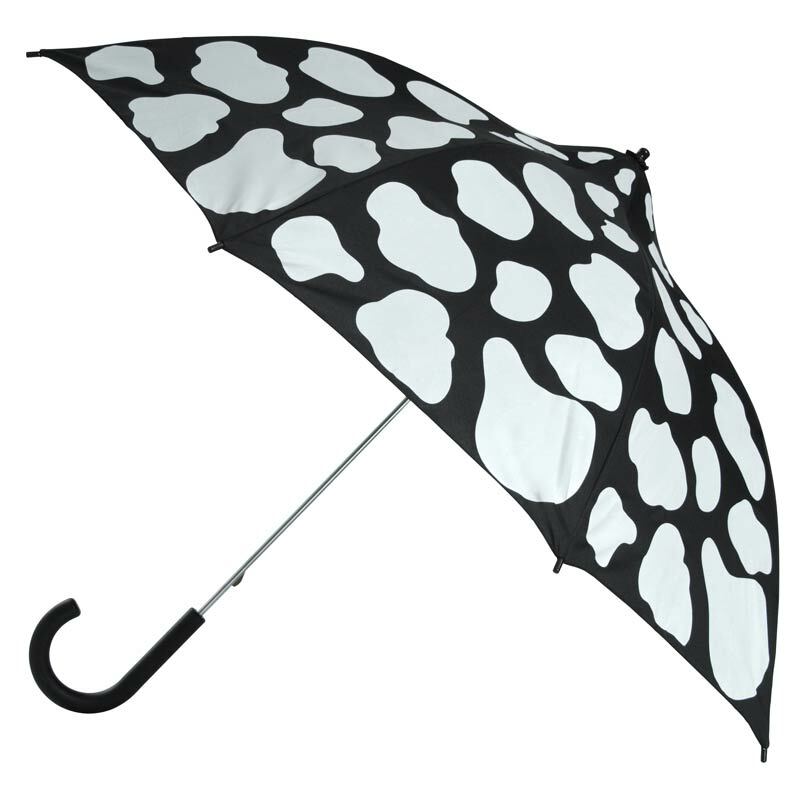 The “Cow Moo Flage” cow print umbrellas (think camouflage, get it?) 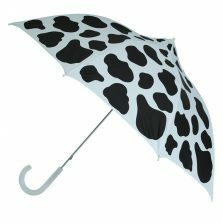 featuring a fun cow print design, are very special and extremely strong. They incorporate our new wind-resilient technology. 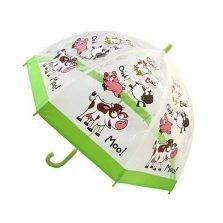 So, should this enigmatic and stylish children’s cow umbrella get blown inside out – it won’t break. You just ping it back into shape ready to be used over and over again. Canopy width: 93 cm (36.5 inches). Length (top to tip): 76 cm (30 inches). Not the one for you? 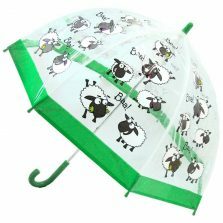 Click to check out the rest of our range of quality kids umbrellas!